Col_Kernel added a comment to T138330: LAR spawns with nothing on it and mags empty 100% of the time. In my types.xml, in the server files directly from Steam, the "Mag_FAL_20Rnd" has <quantmin>10</quantmin> and <quantmax>70</quantmax>. Col_Kernel added a comment to T138127: Configure Keybinding screen not functional. The keybinding screen is definitely bugged and has been so in all the 1.02 Experimental builds in my experience. Col_Kernel created T138078: 1.02 Experimental: Empty stacks of .308 ammunition. Col_Kernel updated the task description for T137714: 1.02 Experimental: Terrain occlusion issue. Col_Kernel edited Additional Information on T137714: 1.02 Experimental: Terrain occlusion issue. Col_Kernel created T137714: 1.02 Experimental: Terrain occlusion issue. Col_Kernel added a comment to T137103: DayZ Experimental 1.0150625 - Missing "up" arrow on items in inventory. Ah yes, it's just the up arrow missing. 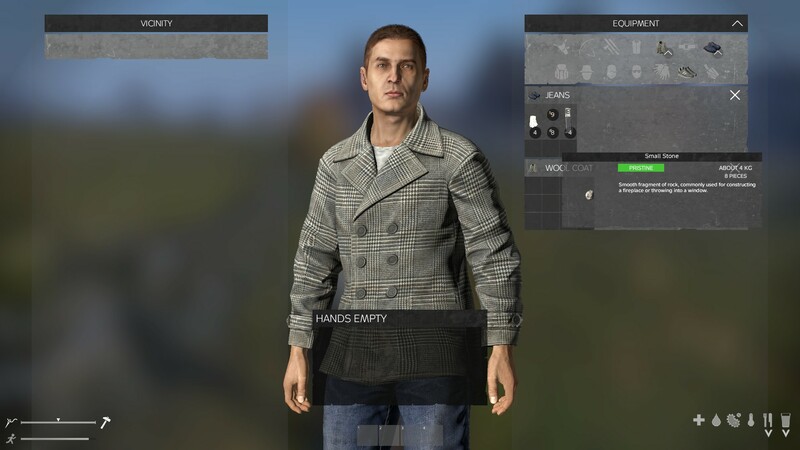 Col_Kernel renamed T137103: DayZ Experimental 1.0150625 - Missing "up" arrow on items in inventory from DayZ Experimental 1.0150625 - Item count box showing on single items to DayZ Experimental 1.0150625 - Missing "up" arrow on items in inventory. Col_Kernel created T137103: DayZ Experimental 1.0150625 - Missing "up" arrow on items in inventory. Col_Kernel created T135307: Deer stand near Kumyrna - no option to climb ladder. Col_Kernel added a comment to T133296: (StressTest51) Surrender Emote Bugs. Col_Kernel added a comment to T133200: Stress test #51: Duping bug when crafting (infinite duct tape). I think that's the exact issue. I tried reproducing it on stress test #52. The duct tape isn't infinite after all - the percentage is only reduced by 1 percentage point for each improvised suppressor. It also seems to be occurring no matter whether the duct tape is on the floor or in the player inventory. Col_Kernel created T133200: Stress test #51: Duping bug when crafting (infinite duct tape). Col_Kernel added a comment to T132056: .63 Hunting stand top disappearing when close.. I've experienced this as well for quite some time on the PC version. For me it usually happens at medium distance (approx. 150 meters) and the entire hunting stand comes into view when I get closer. I'm running 1080p at pretty low settings. I took a few screenshots on stress test #44. 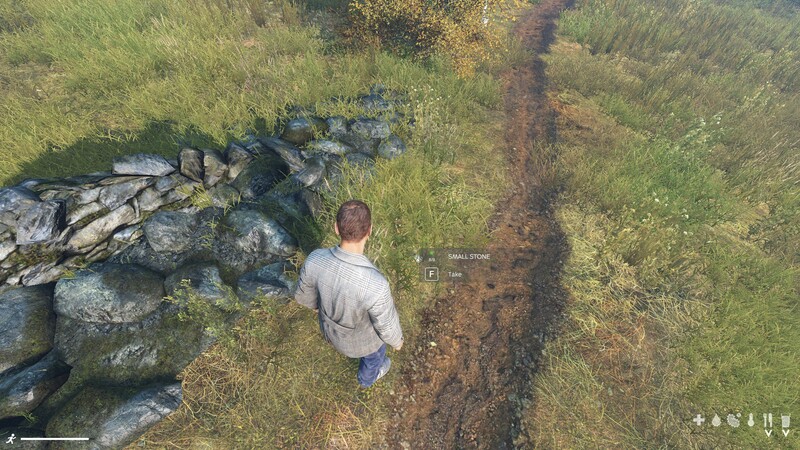 Col_Kernel added a comment to T130977: Fps decreased when you walk while crouching. I’ve experienced the same issue persistently in the 0.63 offline mode (see T129166), in the stress tests and the experimental version. Col_Kernel added a comment to T130861: Stress test #28: Kicked from server by BattlEye. Logged on SWE 2-1 a few minutes later. Played for about 2 minutes before I was kicked off again with the same message from BattleEye. Col_Kernel created T130861: Stress test #28: Kicked from server by BattlEye. Col_Kernel added a comment to T130357: Stress Test No.21 Crash while on queue. Col_Kernel added a comment to T128675: Stress test #7: Wrong item count on small stone. This happened again on Stress Test #25 (0.63.147256) on SWE 2-2. On a path near my spawn I found several stones, each displayed as 8/8 although they were single stones. Col_Kernel added a comment to T129902: Couldn't interact with the world but no disconnect message either, logout timer bugged (stress test 18). Col_Kernel added a comment to T128383: 0.63 Offline: Wrong item count in inventory. Seems to be fixed now. I don't experience this issue anymore in the latest offline build, version 0.63.146951. Col_Kernel created T129166: 0.63 Offline: FPS drop when crouch walking or crouch running. Col_Kernel added a comment to T129150: Upper Berezino guardhouse to military tent enclosure unenterable and with broken textures in most recent stress test 0.63. Also happens at the guardhouse near the harbor in Elektro. Col_Kernel created T128978: Stress test #11: Hydration/energy dropping fast while jogging. Col_Kernel added a comment to T128680: Stuck in a bus. [stress test]. The same thing has happened to me on the bus on the shore near Skalisty. The exact same spot in the bus. I suspect it's the current "auto-vault" that causes this. Col_Kernel created T128675: Stress test #7: Wrong item count on small stone. Col_Kernel added a comment to T128421: Putting burlap sack on head and taking it off makes it disappear. I managed to find a burlap sack during stress test #6, but strangely didn't get the option to put it over my head even though I held it in my hands. So I couldn't test it online. Col_Kernel added a comment to T128596: 0.63 Offline: Cannot open inventory or interact with objects after using F2 gesture with lit flare in hand. I had a chance to try it today during stress test #6 and did not experience this issue online. Col_Kernel created T128631: 0.63 Offline: Cutting down bush causes knife to float. Col_Kernel created T128630: 0.63 Offline: Clipping through wall on stairs in Novo City Hall. Col_Kernel changed Reproducibility from reproducibility:nottried to reproducibility:unable on T128596: 0.63 Offline: Cannot open inventory or interact with objects after using F2 gesture with lit flare in hand. Col_Kernel added a comment to T128623: Map problems for Adam. I can add a few. Seems like the new rocks are of a different size than the old ones. I experienced the same. I had the burlap sack in my hands and no empty spots in my inventory. Putting it over my head and removing it made the sack disappear. Col_Kernel renamed T128601: Same as T128386 - please delete from 0.63 Offline: Player character is not aligned on chimney ladders (deathtraps) to Same as T128386 - please delete. Col_Kernel created T128601: Same as T128386 - please delete. Col_Kernel updated the task description for T128598: 0.63 Offline: Clipping through wall in ATC tower at NWA. Col_Kernel created T128598: 0.63 Offline: Clipping through wall in ATC tower at NWA. Col_Kernel created T128597: 0.63 Offline: Render issue on soccer field at NWA. Col_Kernel created T128596: 0.63 Offline: Cannot open inventory or interact with objects after using F2 gesture with lit flare in hand. I tested it yesterday in version 0.63.14661 and the issue still persists. Col_Kernel updated the task description for T128383: 0.63 Offline: Wrong item count in inventory. Col_Kernel created T128385: 0.63 Offline: Change weapon in suicide stance. Col_Kernel created T128383: 0.63 Offline: Wrong item count in inventory. Col_Kernel created T128382: 0.63 Offline: Metal pole inside house. Col_Kernel created T128381: 0.63 Offline: Cannot exit ladder in industrial building in Prigorodki.